Journey back in time to the origins of Christianity in Ireland and Britain. Travel from Dublin to Lindisfarne and find out about St. Patrick, Columcille, Brigid, Aiden and Cuthbert. Be inspired by the many ancient prayers, songs and rituals. Discover how a daily rhythm of life -- with set times for solitude and for Christian Communion --benefit our spiritual well-being. Explore how a spiritual life following the course of nature and admiring creation can help us to draw near to God. 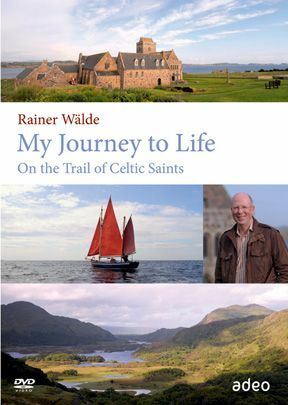 Rainer Waldes "Blessing Europe The Legacy of the Celtic Saints" and "My Journey to Life On the Trail of the Celtic Saints" provide excellent introductions to Celtic Christianity and spirituality. Walde is a German author and filmmaker and also someone whose life has been deeply touched by Celtic Christianity. 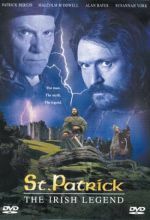 Originally filmed in German and this should tell you something of the worldwide appeal of Celtic spirituality . 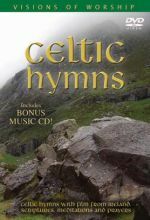 These elegant and visually attractive documentaries provide over two hours of material on the major Celtic saints, and key Celtic sites all the way from Bangor, to Luxeuil, to Babbio. 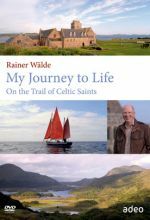 Walde weaves his story around Columbanus, his strict religious rule, and missionary journeys which are seen as a prototype that many other of the Celtic saints would emulate. And as Columbanus carried the gospel message across the Irish Sea and also across Europe, he left numerous monasteries and places of learning which attracted people from all social classes, and altered the face of Europe. It was in this way that the Celtic monks saved civilization. The documentaries also provide insightful introductions to other key Celtic saints such as Columba, Bridget, Aidan, Patrick, Kevin, and others. One of the best features of this series is the combination of hagiography, use of key literary texts, and music selections. All these factors contribute to provide the viewer with the sense that Celtic Christianity was a powerful and significant spiritual movement which produced beautiful things such as the Book of Kells and stone crosses, but also people of the highest caliber imaginable. These productions are of the highest quality and I highly recommend them to anyone who is interested in learning more about the Celtic saints and spirituality. Viewing these productions is time well spent.